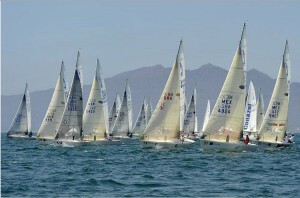 Racing started late due to wind changes as the committee worked to reorient the course. 16 knots winds with gusts to 20 knots made for exciting racing and challenged the crews. Mike Ingham aboard Blue Demon showed his team was ready for the breeze and won the first race. 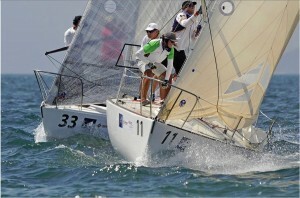 Brazil’s Mauricio Santa took the day’s second race followed by Ingham in second. Ingham’s strong finishes on the day allowed him to move into third place overall behind Tim Healy in second and Santa Cruz in first after 8 races. 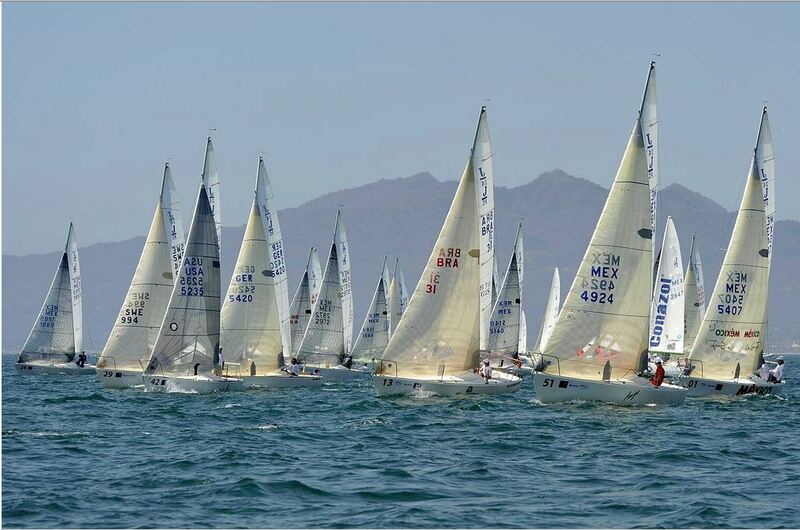 Two more races are scheduled in this 10-race series in Puerto Vallarta, Mexico.